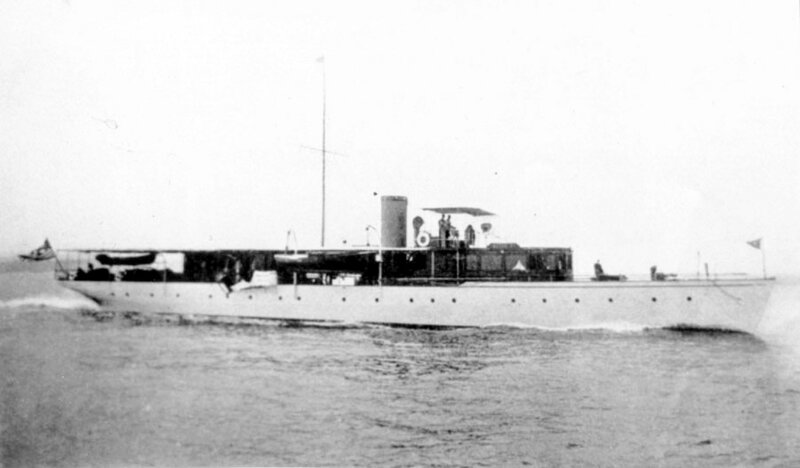 Propulsion: Two 300hp 6-cylinder 12"x14" Standard gasoline engines, two shafts. 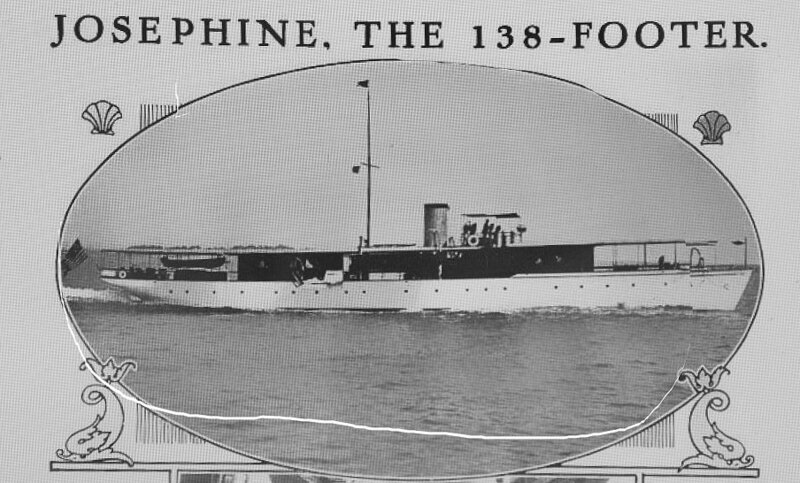 94k In the Cape Cod Canal, Massachusetts, 22 June 1915. 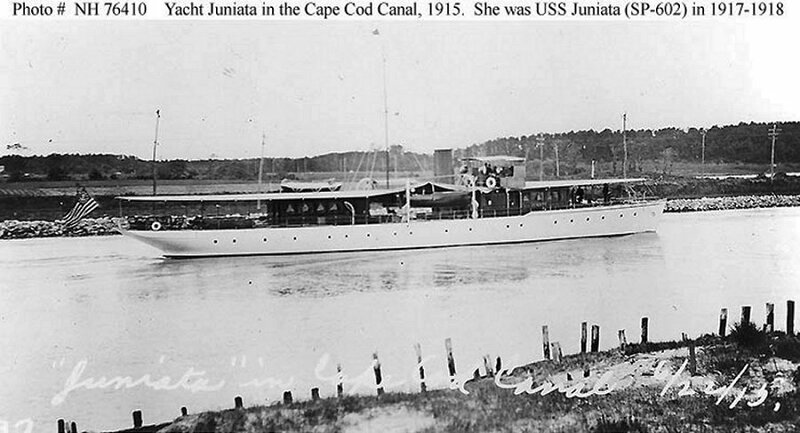 The Juniata looked odd when her picture was taken. 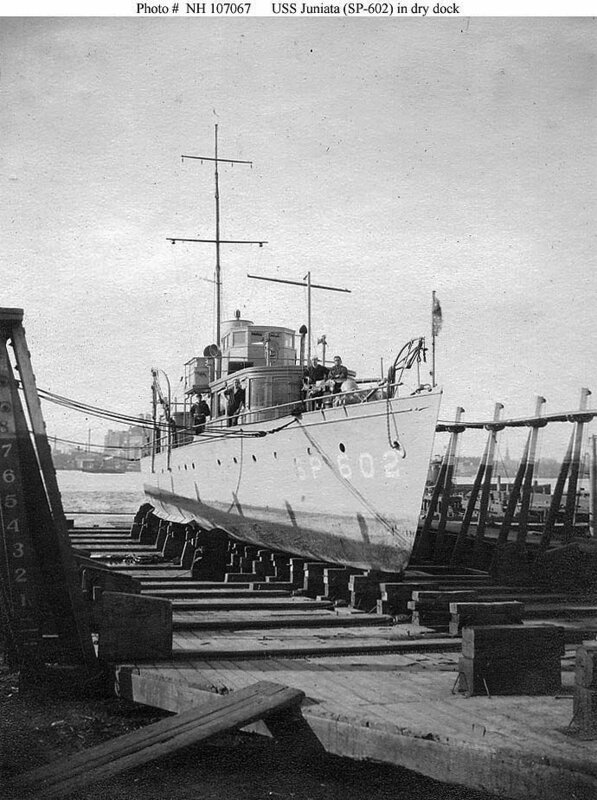 The war paint had been scraped off and the frames had been cemented preparatory to repainting, and it looks as if the yacht was in frame about to be plated.